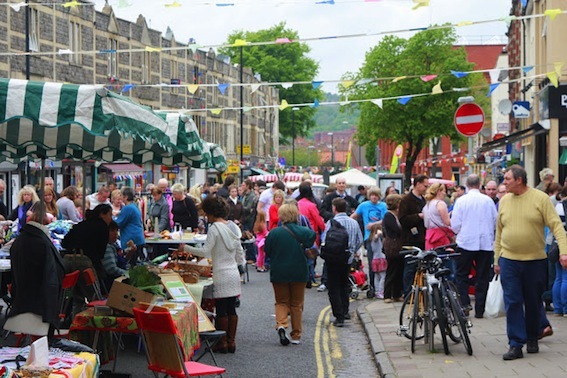 Have you ever thought about organising a local economics event or street party? 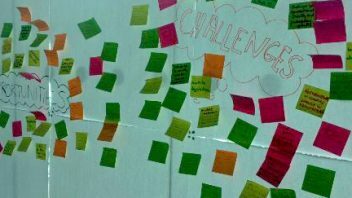 Today’s guest blog post is from Chris Richards from (One Planet Bristol) and it might just inspire you to take the leap. Every project seems to start with the same question. How hard can it be? I mean all you have to do is put a,b,c and d together. 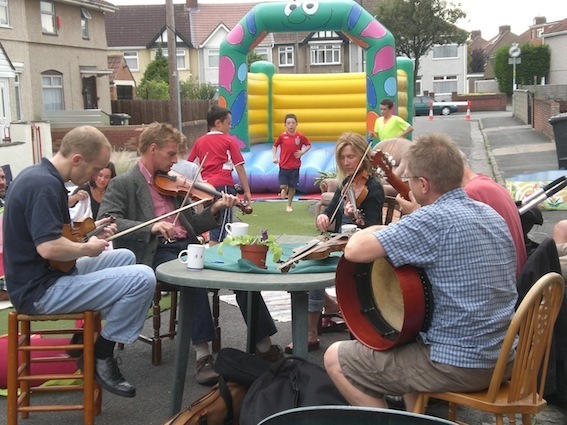 One Planet Bristol has it’s roots in starting a street party on my road. With the help of Streets Alive to fill out the council forms. How hard can it be? Lots of streets do it in Bristol, so we gave it a go. Not bad I thought and then I started looking at North Street (local high street) and thought well it’s the same as a street party just a bit bigger. How hard can it be? Nobody had ever pulled it off before but it had potential. At one end every Sunday was the Tobacco Factory local market, the street was part of the yearly Upfest festival (Europe’s largest street art event) and a community event was held on the local green space at the other end called Best of Bedminster. So it had all the ingredients. 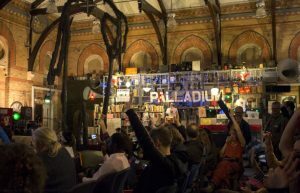 It just needed a spark to set the idea alight and this came from the Schumacher Institute who had funding for a project around social capital and they needed a community project for volunteers to work on. There was £2000 to pull off a street market. Well it’s pretty hard to say no! 1) Filling in the council forms which were the same as if we were putting on a major international festival. 2) How to fill a whole high street with stuff to make it look good. Would anyone turn up? Would we be able to get stallholders? Maybe it would just be a damp squib. Oh well sometimes you just have to give it a go. To reduce the initial risk we put the market on at the same time as a popular arts trail as there were lots of people walking around. We didn’t need to worry the street was packed and it was roaring success. It was quite amazing to see what happens when you open space up to people somehow it just fills up. It was really great to see the event featuring in a Bristol Pound video and seeing all the stallholders do well. So we had to do another one. 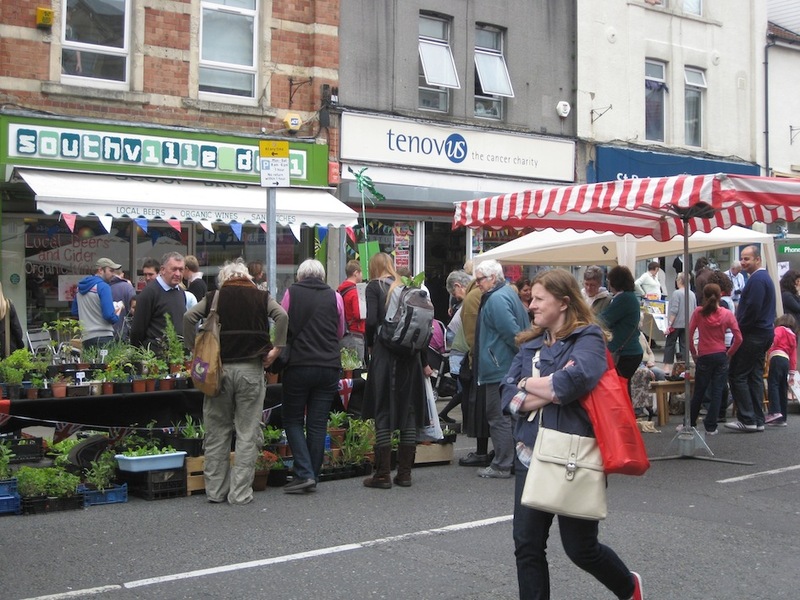 We were lucky that it coincided with Bedminster being named one of the Town Teams to improve high streets, so we were able to receive some more grant funding to improve on the first event and do another street market on North Street and try one on the next high street along , East Street which was very different to it’s neighbour. 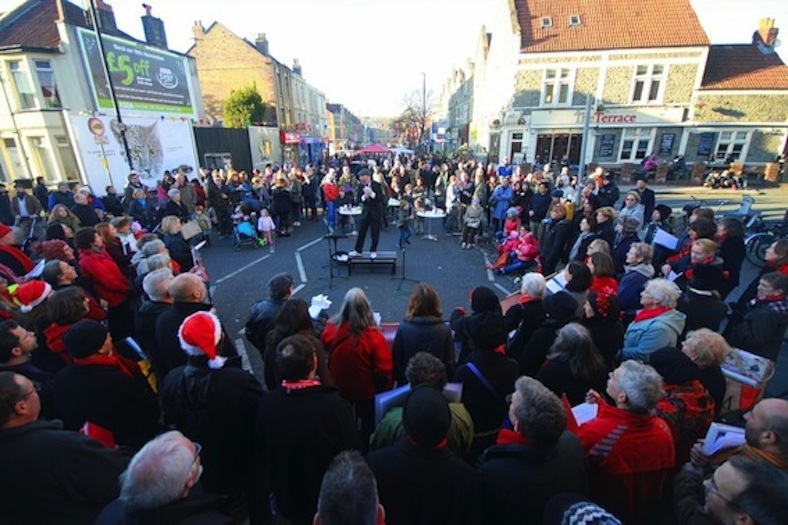 We added a proper music stage and the local businesses all got involved more. It was exhausting and exhilarating at the same time. They were great again. Playing Out opened their shop on the same day as the North Street event and the East Street market was the first road closure in over 35 years. But are they financially sustainable? Not quite. There’s income from stallholders but the costs of organisation and market stall umbrellas add up. So the local businesses seeing the benefit invested in 20 market umbrellas and the North Street traders took on the role of organising the markets 2/3 times a year on their street. The holy grail of sustainability was achieved for the foreseeable future. Although it does depend on some keen and highly motivated traders. 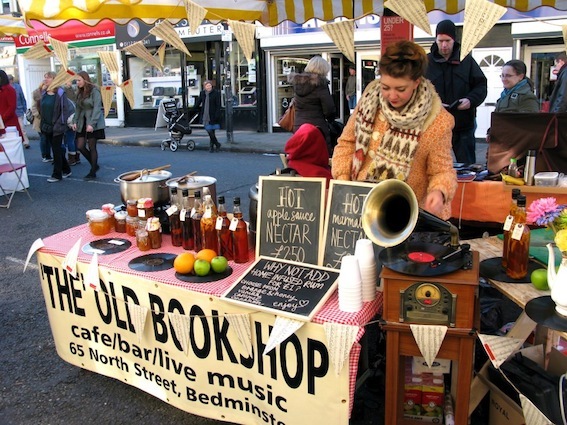 So far we’ve organised 4 street markets and the North Street traders have organised a further 2. 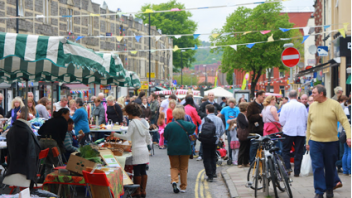 We’ve provided market trading for 150 stalls, mainly local people. There have been spin offs and a lot of community cohesion has occurred. So, it feels like it’s a step on the REconomy ladder. 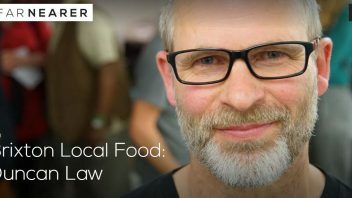 It’s not just community but it’s also not a proper social enterprise. It’s a new form of market economy! And probably best of all it encourages others to move towards dreaming about and having a go at the REconomy experiment. What’s next? Well there’s several things in the pipeline. Probably the most exciting is reimagining Bristol’s manufacturing industry within a sustainable context. Have a look at Marcin’s TED talk about the Global Village Construction Set for more. Once upon a time Gandhi took the cloth industry back to India as a symbol of independence and brought down the British empire. Nowadays it seems like reinventing manufacturing as a symbol of sustainability and interdependence might be the next step. I mean how hard can it be?